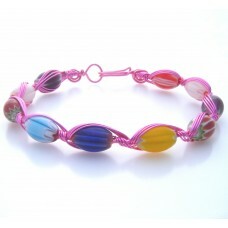 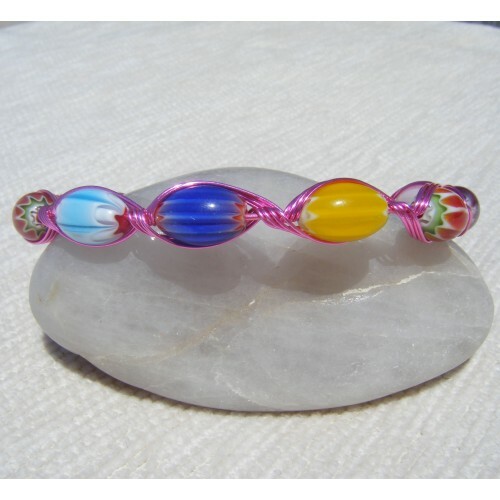 Multi coloured millefiori oval shaped beads attached by a pink coated copper wire to form a modern bracelet. 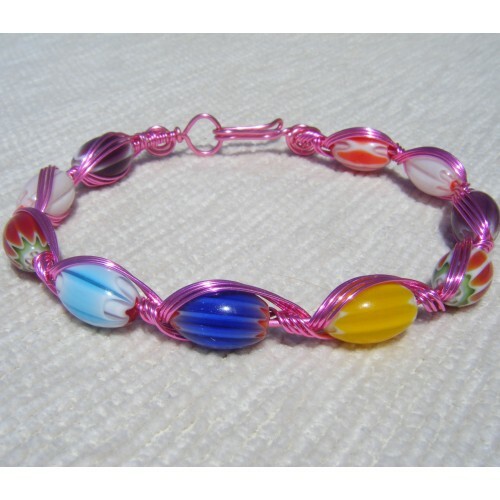 This cute bracelet will be in a pretty gift box and sent in a protective jiffy bag. An oval shaped beads will add a touch of class!